Private Charles Samuel Henry Dale experienced the First World War in Gallipoli, France and Belgium, and due to the severity of the wounds he sustained was deemed unfit for active duty in the Second World War. He was one of the 29,000 plus soldiers who came to Beaufort War Hospital for treatment. Dale had enlisted on 10 March 1915, and was appointed to the 26th Battalion (Bn), “D” Company (Coy) on the 15 June 1915, aged 19, at Claremont, Tasmania. On the 2 September 1918, he was hospitalised for the fourth time with a wound to his right foot in France. He was invalided to England on the 5 September and admitted on the seventh to Beaufort War Hospital, for surgical treatment and rehabilitation. By the 18 September he was transferred to 3rd Auxiliary Hospital, Dartford. On 2 June 1919, he was discharged on war caused medical invalidity grounds. Many thanks to Terese Binns who visited Glenside Hospital Museum on the 1st August 1918, walking in the footsteps of Charles Dale for providing us with this information. 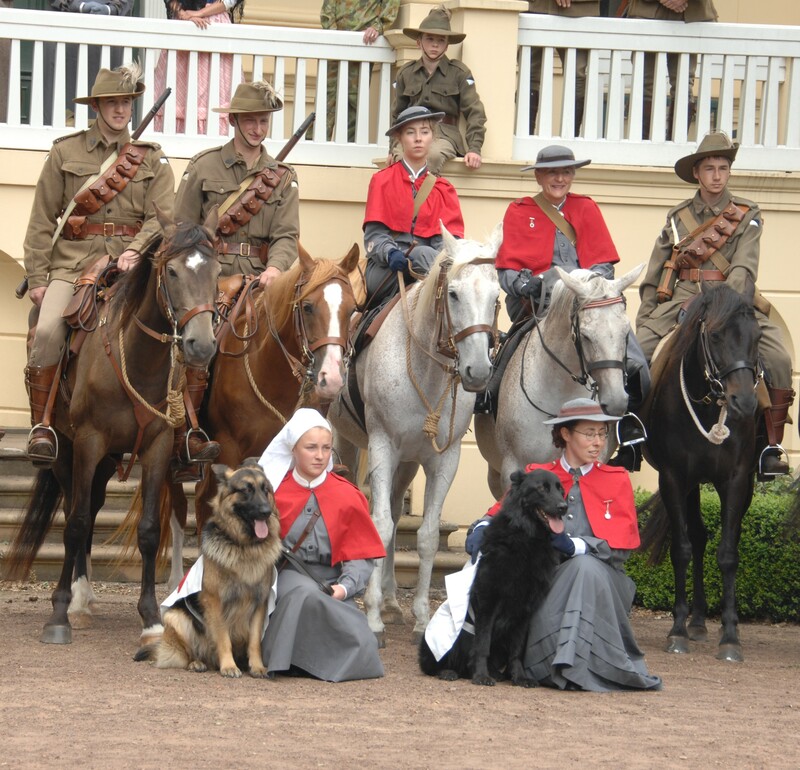 She is pictured with her husband on the featured image, as part of the Tasmanian Light Horse Troop as an Australian Army Nursing Service (AANS) nurse). Terese Binns researched Charles Dale’s history using the Australian National Archives website, the places he went, details of his family and has illustrating it with old photographs from the Australian War Memorial website as well as taking some herself. Read about his First World War experience by clicking on the pdf link below.